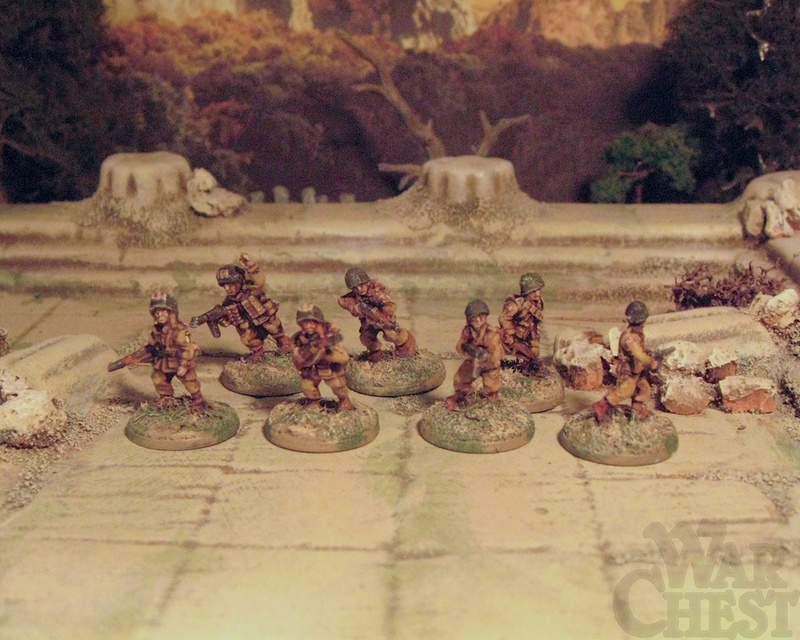 WW2 US Paratroopers? What’s going on here then? Quick post (for a change). Aside from Medieval, Dark Age and a smattering of Piratical or Sharpe-like Napoleonic Skirmishing, I’m not really a ‘historical’ wargamer/collector. I did however pick up a squad/platoon? 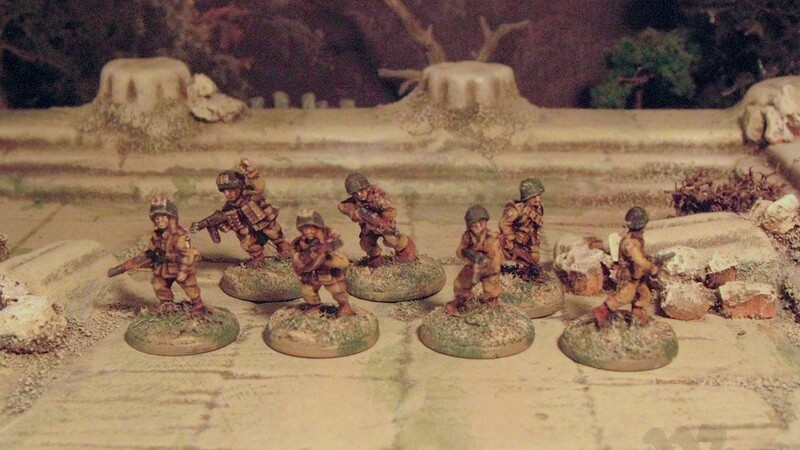 of US Paras off eBay recently – 25 of them for the princely sum of £7.50. And they were painted to what I would class an above average tabletop standard to boot. I rebased them and went to work on touching them up (stop it!). Some washes, highlight detailing and adding some insignia etc. Not doubt you are clamouring to know WHY? when I just fessed up to not playing the period. Well, part of me wants to and will at some point (hence the drawer full of model tanks, etc) but these were indented to fend off the Zombie German Infantry I picked up from Rebel Minis a while ago. Add to that the sniper packs, a few interesting scenarios could be had. They are also potential opponents for my little Grey Men and offer an ‘in’ to some Wired War 3, fighting werewolves and vampires. Plus my recent spate of Graffam-led fantasy town could easily (in my mind) offer a good Eastern European town setting in the 20th century as well. And who’s to say that the Apocalypse didn’t happen in the 1940 or 50s? These could be the staple Government Forces.